Some children have very sensitive skin and this is the reason why comfort is always a priority when choosing a child’s clothing. Flower girls usually range from one to ten years old and within these ages, it is very likely that these little girls can be sensitive to some fabrics. For a grand occasion like a wedding, no one, especially the bride and the flower girls themselves, would want to have someone with hypersensitivity reactions marching down the aisle. With that being said, choosing the flower girl dresses with the best fabrics will be the best option. Satin is a weave that typically has a glossy surface and a dull back. This term refers to a smooth woven fabric such as polyester and silk. Most of the flower girl dresses being worn by the little girls are made of satin. These are also in either A-line or ball gown style which makes the little girls look like their princess stars. This fabric is similar to satin meanwhile it is more comfortable when it is worn during cold weathers. This is usually made of 100% polyester, with a shiny side and a modest matte finish at the back. Like satin dresses, a flower girl dress in this fabric and in A-line style is simply adorable. Chiffon fabric is a lightweight plain-woven fabric with mesh that gives its transparent appearance. The word “chiffon” has a French origin which means cloth and is primarily made from cotton, silk or synthetic fibers. According to one of the stylists from JJ’s House, chiffon dresses are usually made of 3-4 layers of chiffon so it will not be see-through, if not, the lining will always be a silk like satin that looks and feels like charmeuse. This further provides comfort to the one wearing the dress, especially the flower girl. In addition, this fabric is one of the best fabrics worn throughout the year, whether it is a hot or cold season. This is a thin, plain weave, sheer, made from silk. As it is a very thin fabric, it is usually best used as a top layer of a dress. This fabric is also similar to tulle, of which they are best used as top layers due to their thinness and transparency, as they add volume to the dress as well as they enhance the shining effect. This is a delicate fabric made of yarn or thread in a web like pattern. This could be either be done by hand or by machine. Depending on what kind of thread was used to make the dress, some lace flower girl dresses are itchy while some are not, which is why, trying on the dress for few minutes would be a good idea to assess whether there will be a hypersensitivity reaction. 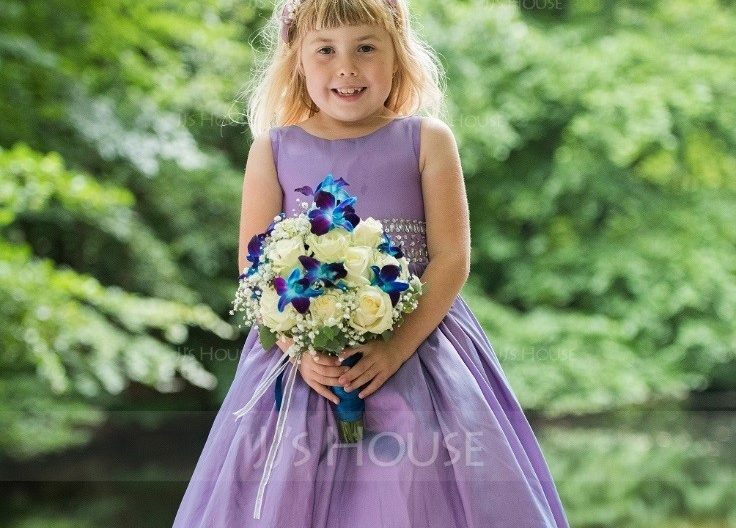 Full lace flower girl dresses are also highly recommended if the weather is warm. Conclusion: There is no guarantee that the fabrics stated above are 100% itch free as it will still depend on the skin of the child meanwhile, they are the top best fabrics usually worn by flower girls, which are considered to be hypoallergic. Furthermore, the best tip to make it more comfortable would be to buy the dress as early as possible and do some handwashing or dry cleaning.